Today was Yom HaShoah, the annual commemoration of the Holocaust in which we remember the millions who perished at the hands of the Nazis. As I read the names of children from Hungary who were murdered in the Shoah, I thought about my recent trip to Berlin. I thought about how different Berlin would be today had the majority of its Jewish citizens continued to live and procreate. 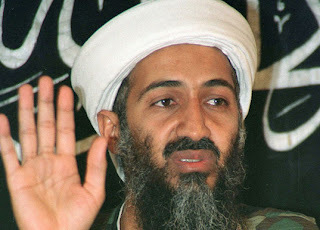 I plan to write some reflections from my Berlin experience soon, but the big news now being reported is that Osama Bin Laden has been confirmed dead. It would truly be poetic justice if he were killed on Yom HaShoah, Holocaust Memorial Day. In Judaism, we are commanded to remember what Amalek did to us and blot out its name from under heaven. I have no doubt that Osama Bin Laden's name will be blotted out, but that the American people will also never forget the atrocities committed on 9/11.